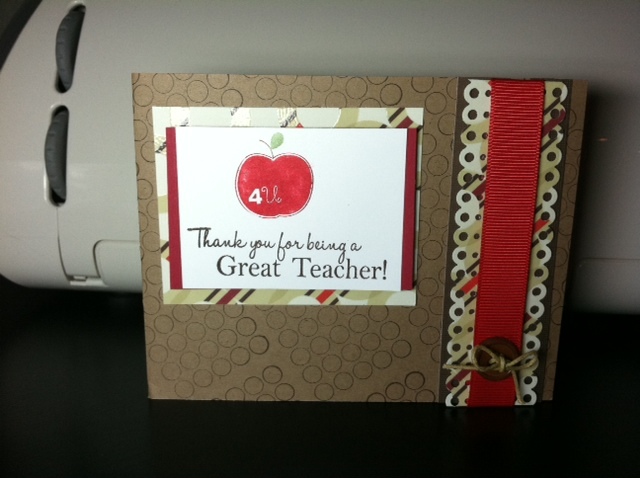 I've made my 2nd sneak peak using the School Days stamp set again. The card is pretty simple but I love the way that it turned out!! 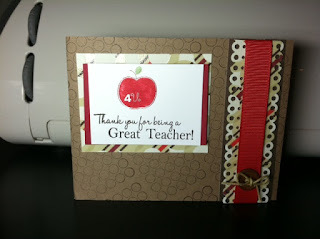 In addition to the Scrappy Mom's School Days set, I used Stampin' Up! stamp set for the background of the card and the apple image. Hope you guys enjoyed this and be sure to check out the other Scrappy Mom sisters projects by click on their name in the right side bar!